During the last few years, an increasing number of food poisoning due to cugatoxin has been reported in Europe. Ciguatoxin has traditionally been found in certain fish from tropical and subtropical areas, but new studies indicate that the toxin has become increasingly prevalent in the Mediterranean sea. Imported fish from far away seas could also contribute to the rising numbers of food poisionings in such disparate areas as Germany, Madeira and the Canary Islands. In Germany, there has been at least one outbreak with up to 20 affected individuals each year since 2012. 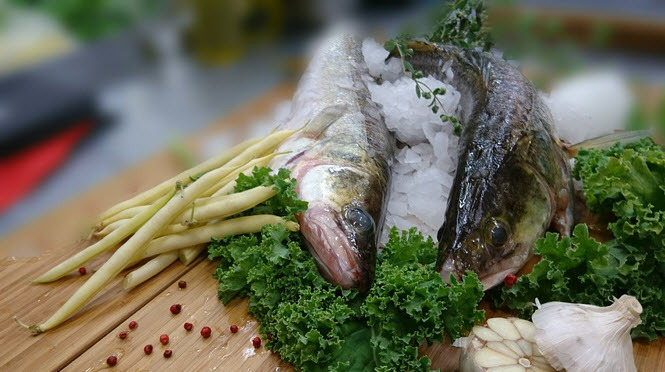 “Ciguatera is a very rare form of fish poisoning in Germany. The reported cases have been caused by the consumption of contaminated tropical predatory fish such as various snapper species,” says BfR-President Professor Dr. Dr. Andreas Hensel. To find out more, the EuroCigua project has been launched under the umbrella of the European Food Safety Authority (EFSA), and researchers are currently in the process of developing reliable methods for the identification and quantification of ciguatoxin in fish and microalgae in European waters. The initial goal for the EuroCigua project is to determine the frequency of ciguatera cases and ciguatoxi fish in Europe. The researchers also hope to develop new methods for detecting ciguatoxin in fish. Detection is tricky, since ciguatoxins occur in many different chemical structures depending on the catch area. The ciguatoxin consists of metabolites of microalgae whose natural habitats are coral reefs. They are found in the Pacific ocean, the Indian Ocean and the Caribbean Sea. The metabolites travel up the food chain as small fish eat the microalgae, only to later be devoured by larger fish. In fairly large fish, such as the snappers we humans like to eat, a lot of ciguatoxin can accumulate over time. Ciguatoxin can be dangerous to humans even in very low concentrations and there is so far no reliable method available to test fish prior to consumption. To a human, ciguatoxin is odourless and tasteless. It causes no miscoloration or other visable signs in fish. Ciguatoxin is heat-stable, so cooking the fish will not neutralize the toxin. Ciguatoxin can cause a variety of clinical symptoms, including gastrointestinal upset and neurological disorders such as the reversal of cold-hot sensitivity. Compared to cool water fish, tropical and subtropical fish are more likely to contain dangerous levels of ciguatoxin. Predatory fish is more likley to contain dangerous levels of ciguatoxin, since the toxins accumulate along the food chain. In a fish, the highest levels of ciguatoxin tend to be found in the offal. Not eating fish offal can therefore reduce ther risk of being poisioned. If they can survive here, maybe also on Mars?